Convert gifs and images to video, pick how long you want them to be, resize, adjust and click "Complete". 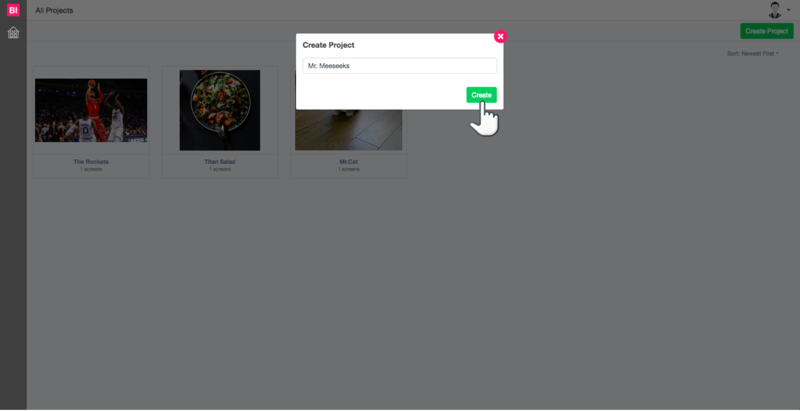 Now upload your Gif directly to your new project. 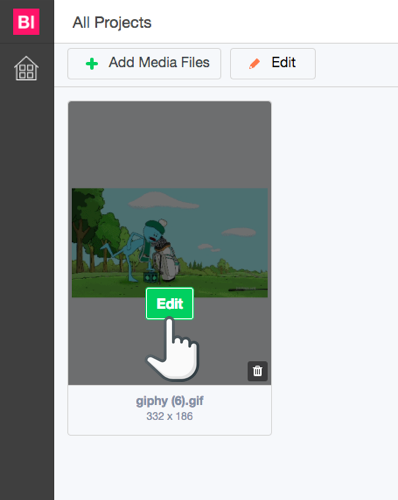 Once you have uploaded your Gif, hover over and click the edit button or the click the “Edit” next to “Add Media” files. Once you are happy with your Gif, you can drag the seconds' slider all the way up from 1 to 30 seconds. Once you are done just hit “Complete” in the top right corner. 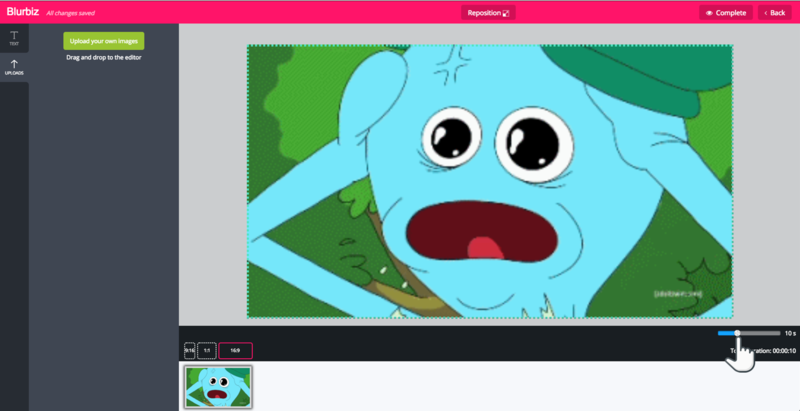 And your gif will now be turned into a video.